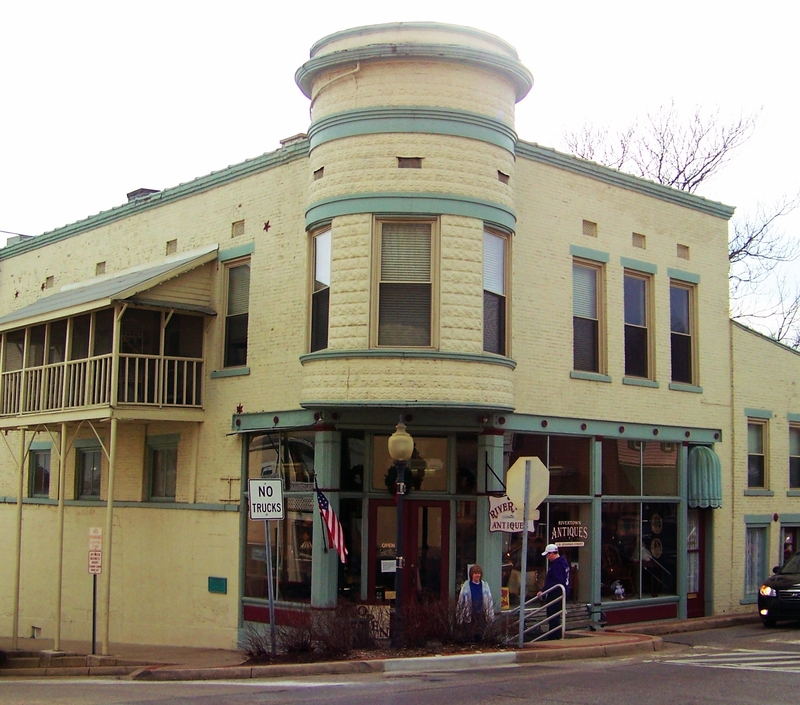 The Exchange Hotel was built in 1841 by Joseph L. Spitz on the southwest corner of State and Jennings. The original building consisted of the basement and first floor with walls that were twenty-seven inches thick and modeled on architectural plans that were brought from Germany. For nine years Mr. Spitz remained the innkeeper, but as the years went by he envisioned a new and more modern hotel on the riverfront handy to the packet trade. In 1850 he put his hotel on the market in order to finance his new venture. Zavan Hazen, who had come to Newburgh in 1845 from his native Vermont, looked over the building and decided that here, indeed, was what he had been looking for and in partnership with his young son-in-law, Henry Cappello, purchased the property from Mr. Spitz in 1850. During the next few years the town flourished with drummers, itinerant workers, and cross country travelers crowding the already overtaxed hotel space and leaving Mr. Hazan with little option but to enlarge. In 1854 the third story and west wing were added to accommodate the overflow and the chair lined veranda was always full of men, making the ladies of Newburgh a bit wary of passing that way on a windy day for fear of exposing their ankles. On the corner of the sidewalk the Tavern Bell hung from a large post. It was rung morning, noon, and evening by “Grandpa” Hazan to call the travelers and inform the townsfolk that it was mealtime. 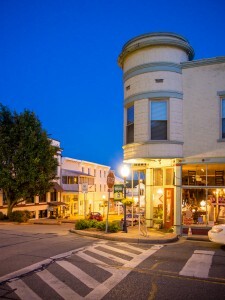 In 1856 the Exchange was sold to Mr. Thornburg and Mr. Wyman. In 1861, when the news of Fort Sumter reached Newburgh, military companies were formed and volunteers were organized, and soon the hotel was turned into a hospital and armory. On the 18th day of July in 1862, several disloyal citizens crossed the river and informed Adam R. Johnson and his band of marauders of the arms that were stored at the hospital and the ease with which they could be taken. At noon while the citizens were at dinner, Johnson and his men rowed across the river, captured and pillaged the town. After their departure a feeling of outrage ran high and two suspected traitors, H.H. Carney and Elliott Mefford, were attacked and killed by some of the citizens. Their bodies were hung upside-down in the doorway of the hotel as a reminder to the people of what happened to traitors in wartime. In later years the building became the J.W. Fuquay Store and in 1927 it was purchased by Louis and Adele Chivian and was operated as Chivian’s Department store until 1973. For short periods after that it housed a furniture store and Chuck Frary Interiors.